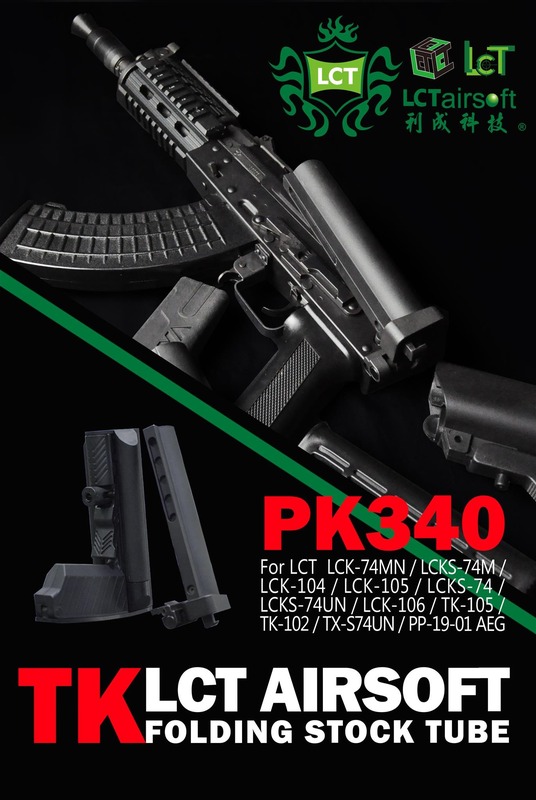 Below is the latest products- TK Folding Stock Tube and compatible LCK AEG which is with folding or under folding stock, ie. LCK74MN / LCKS-74M / LCK-104 / LCK-105 / LCKS-74 / LCKS-74UN / LCK-106 / TK-105 / TK-102 / TX-S74UN / PP-19-01 AEG. And with this parts you will have more space for putting battery on stock.